This tour has been especially designed for those who have only a few hours to spare and want to enjoy all the historic highlights while taking a relaxing short and sweet ride. 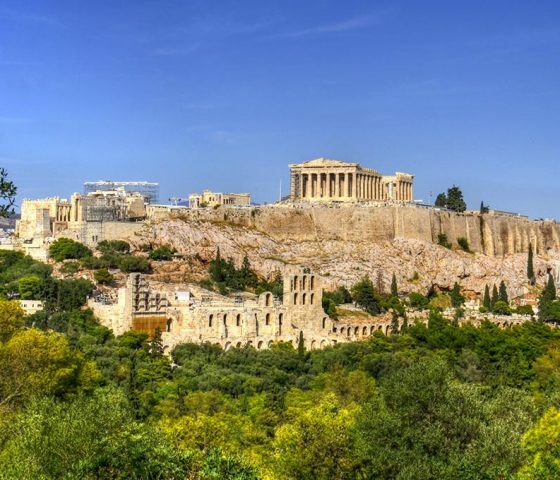 Within the luxury of our Mercedes Benz vehicles you will enjoy everything that our Top Rated Athens Highlights Tour offers in the comfort of a high class vehicle. Our designated trained drivers will guide you through the non – walking tour and narrate the stories hidden behind the city’s favorite spots. Of course we couldn’t miss the chance to take photographs in order to keep our memories alive, so the driver will get you as close as possible and allow you to snap your masterpieces. After this you can lay back in our luxurious, comfortable and air conditioned vehicle and your chauffer will drive you to explore the rest of the city in the most stylish and convenient way. Next comes the Temple of Olympian Zeus and the Hadrian’s Arch. Your next stop is the Panathinaic Stadium, where the first modern Olympics took place. 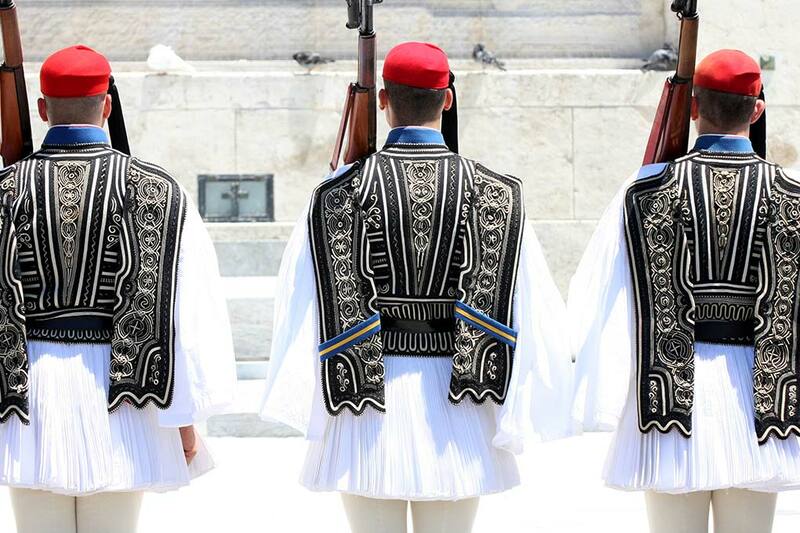 Right after you will have the chance to witness the changing of the guards in front of Athens’ Presidential Palace. 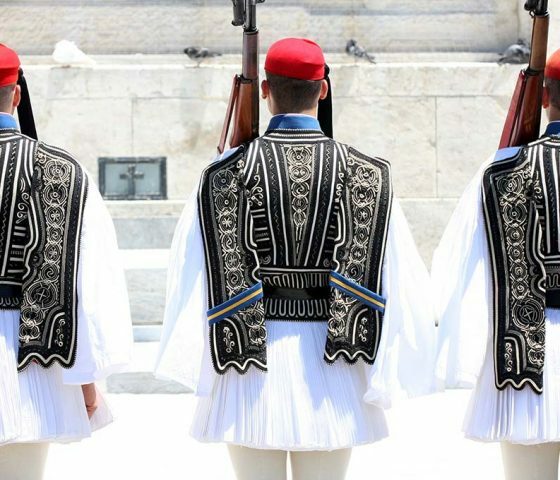 Arriving just in time, you will enjoy the tireless and valiant Evzones on their duty, guarding their post in front of the Greek Parliament for 365 days a year, 24 hours a day. A drive through the old aristocratic neighborhood of Athens named Kolonaki, is incumbent. 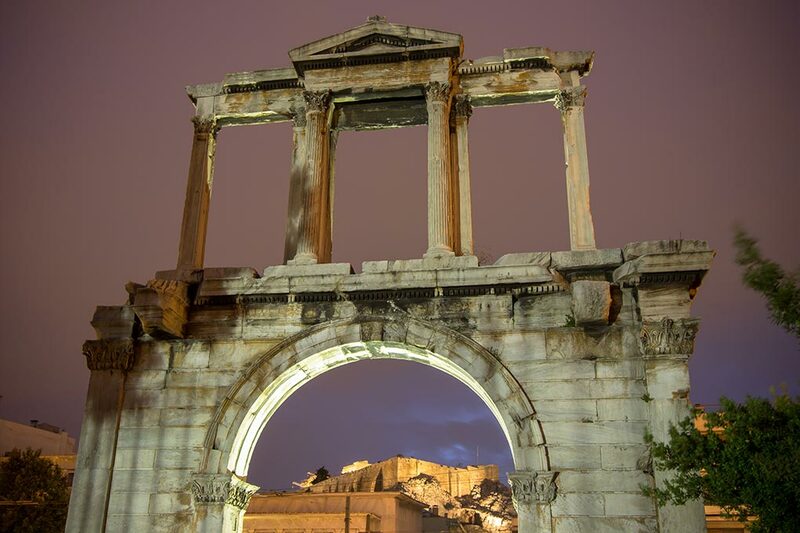 The driving tour continues to present you the Athens of the 19th century with its remarkable neoclassical buildings. The greatest examples can be seen on Queen Sophia’s Av., on Constitution Sq. (Syntagma Square) with the House of the Parliament where you can see the Tomb of the Unknown Soldier, a memorial of great significance for the Greek people. 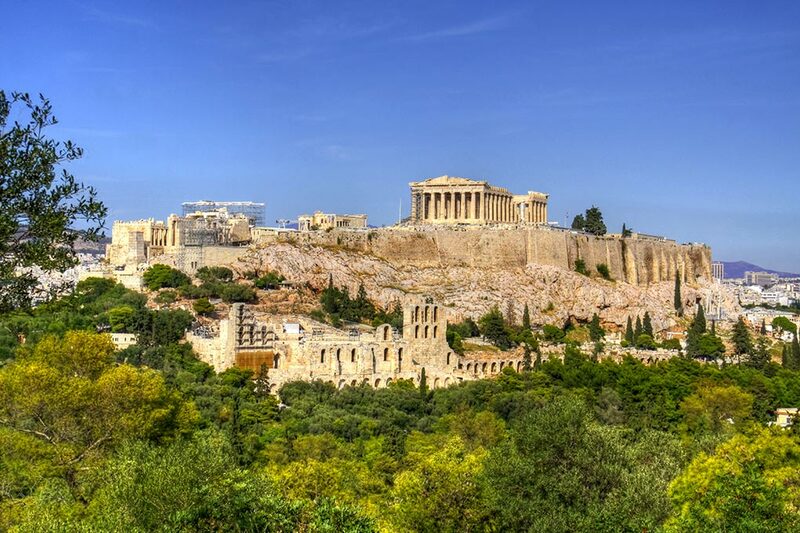 Coming up next is Trilogy of Culture including the buildings housing the Academy of Athens, the Library of Athens and the Library of Athens. You will then be driven down to the coastline to immense yourselves in the deep blue of the Aegean Sea and enjoy the Athenian Riviera. Enjoy your ride through the Mikrolimano meaning small port of Piraeus to see the Tavernas right on the seafront. 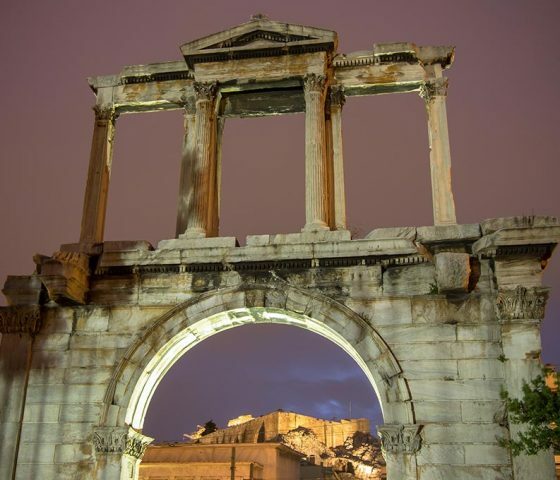 Next you will drive southwards to see some of the most elegant, prestigious and picturesque suburbs of Attica before you will turn back to Athens. On the way to your accommodation if time permits we can have a quick stop to enjoy Greek delicacies and something cool to drink just like the locals do during the summer months.